Whether it is software, hardware or internet related, we all know how frustrating and unproductive “downtime” is in our work environments. It really helps to have someone on site all the time who can deal with issues immediately. In our case it is Hot Ink part owner, Andrew Mance. He is a Certified Mac Technician and has long been known as our ‘fixer-of-all-things-fixable.’ Now it is official: Andrew just qualified as a Fiery Certified Professional. 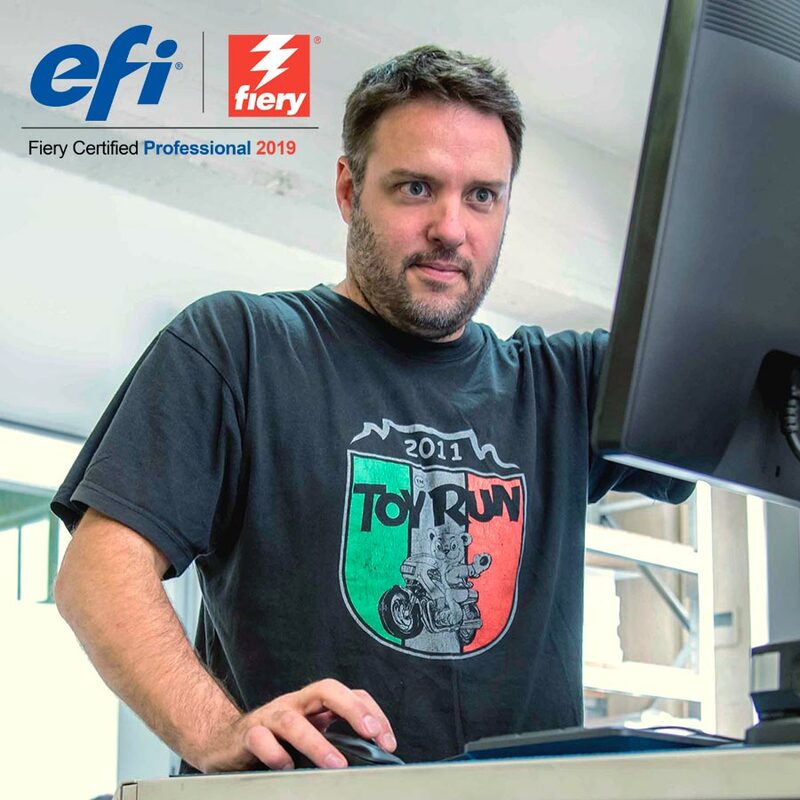 This certification teaches print professionals the necessary skills to optimize the performance of EFI technology solutions, as your equipment is only as valuable as your ability to operate it. This will allow us to achieve maximum quality print and colour results for our customers, and ensure minimum downtime for production.